Week 1 – W.O.W! (What an Outstanding Word!) – Habits! “The only difference between those who have failed and those who have succeeded lies in the differences of their habits. Good habits are the key to all success. 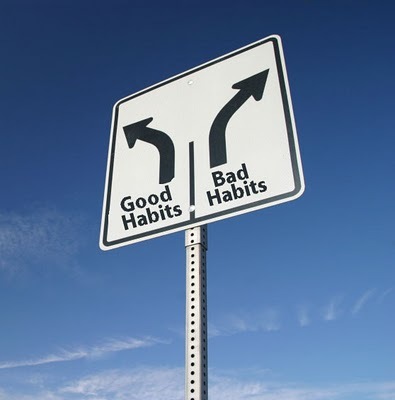 Bad habits are the unlocked door to failure…” Scroll 1, The Greatest Salesman in the World, Og Mandino. That is such a simple yet profound (and outstanding) statement. Just think about it! It’s our habits…what we do consistently that charts our course and determines the outcomes in life. Mental habits, physical habits, attitudinal habits–they all matter. Are your habits helping you achieve what you want or are they undermining your dreams? Do you want to lose that extra 20 pounds you’ve been carrying around but your late night ritual (habit) is to eat a snack to fill your stomach (facilitating weight gain) before bed? Want to learn a new skill that will contribute to your marketability but that episode of Scandal keeps you from the scheduled webinar? The challenge I received this week, and that I am passing on to you, is to begin right away establishing the habits that will help you most directly get where you want go. Og Mandino goes on to say, “I will form good habits and become their slave.” Consider that your target.